Dubai: Shaikh Maktoum Bin Mohammad Bin Rashid Al Maktoum, Deputy Ruler of Dubai, opened the Cityscape Global exhibition on Tuesday. The three-day event brings together an estimated 47,000 real estate professionals and government officials under one roof. The exhibition hosts more than 300 exhibitors from around 30 countries around the globe. Cityscape 2015 focuses on three main themes which are: middle-income housing, the growing demand for quality facility management and the importance of improving broker knowledge of Dubai regulations. Major developers have set their booth in the exhibition. 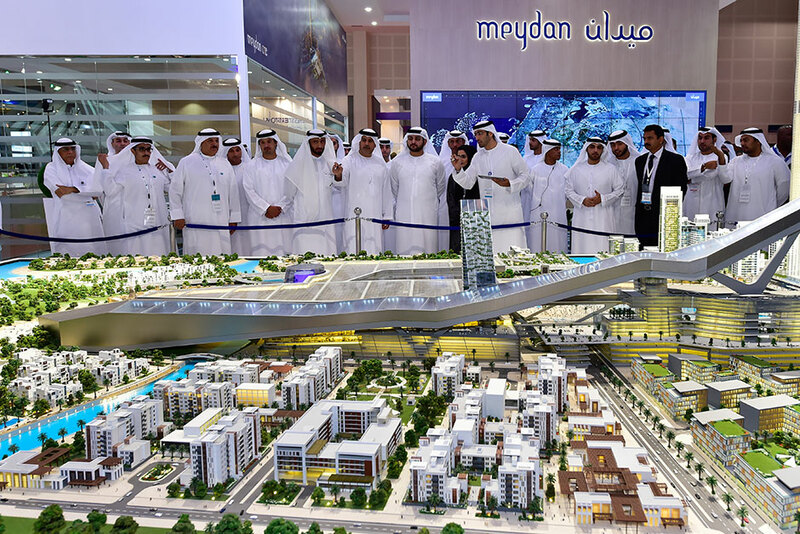 Meydan has built quite an impression with their exhibit of the Meydan One project, a 3.67 million square metres mixed-use development expected to be finished by 2020. Shaikh Maktoum Bin Mohammed Bin Rashid Al Maktoum, Deputy Ruler of Dubai, and the Chairman of Dubai Media Incorporated, and Khalaf Ahmad Al Habtoor, Chairman of Al Habtoor Group at Cityscape Global 2015 opening in Dubai World Trade Centre. Emaar showcased its “Opera District” which will host Dubai’s first Opera house. Al Habtoor displayed its new mega complex on Shaikh Zayed Road. Major developers such as Deyaar, Dubai Holding and Damac also had strong presence in the exhibition venue. A model of the Mirdiff Hills project at Cityscape Global 2015 at the DWTC.